Even if you're not from Nova Scotia, I hope you'll read this post and that it strikes a chord with you. Today is Canadian Thanksgiving and soon enough the US will celebrate their own. In fact between now and December 31st, there will be countless celebrations for every ethnic, religious and regional group. There will be feasting, and more feasting for many of us. Unfortunately, more and more individuals and families have difficulty in putting food on their tables, not just to celebrate a holiday, but on a daily basis. Feed Nova Scotia is a wonderful charitable organization that helps feed hungry people by collecting and distributing food to more than 150 member agency food banks and meal programs, while at the same time striving to eliminate chronic hunger and poverty through research, awareness and support programs. 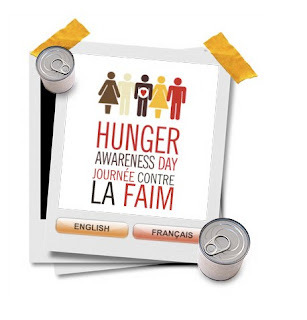 Check out Hunger Count 2009 Food Banks of Canada Census to see just how challenging the problem is...and 2010, with no stats yet, looks even bleaker. Unfortunately, organizations like Feed Nova Scotia are getting less traditional funding to combat this crisis. That means turning to the public in the form of fundraising - foodstuff as well as much needed dollars to cover significant costs of warehousing, transportation and all the costs that implies. Dianne Swinemar, Executive Director, is passionate, energetic and driven...and it's contagious. Just ask any of the committed staff and volunteers who work with her every day. She and her team come up with some brilliant fundraising events like Chair-a-Tea, and Divas on the Green - a non-golf day at a local golf club. 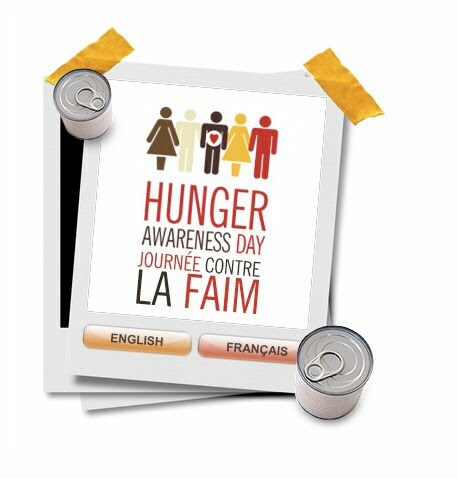 "Halifax Regional Municipality and FEED NOVA SCOTIA have been challenged by the cities and food banks in Regina and Victoria to see who can raise the most food in 48 hours. We've eagerly accepted the challenge and we're pumped to win. 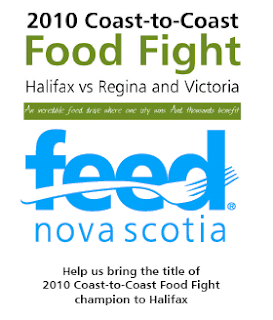 Beginning at 6pm on October 14, FEED NOVA SCOTIA will have 48 hours to receive and weigh as much food as possible. All food must be weighed in one location and none of the food can come into FEED NOVA SCOTIA's possession before the 48-hour period begins. The good news is you can start collecting food now!" You can check out all the details right here. Of course I want Halifax to win, but regardless of where you live, whether that's in one of the three cities in the official "food fight" or elsewhere in the world, please donate whatever you can - food and money in your own community. World Food Day is October 16th, so you still have time to get involved. And if you miss it, well the rest of the year is just as important. Check out some neat ways that you can make a difference in your community. Local food banks and other organizations and events that bring awareness and feed the hungry are high on my list Ruth. Thank you for bringing these to our attention.